2013 New Christmas Cards Revealed! 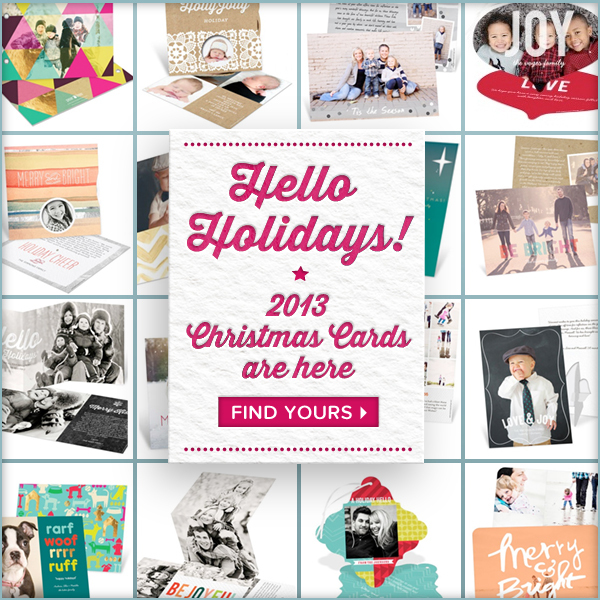 We are excited to announce our new 2013 Christmas card collection! These Christmas card ideas are full of new shapes, trends and a lot more ways for you to send your holiday wishes. Here’s a peek into the new collection, but be sure to visit our Christmas cards to see all the cheery designs. Lovin’ our new Christmas card ideas? We thought you might… Shop our new Christmas cards and holiday photo cards today!